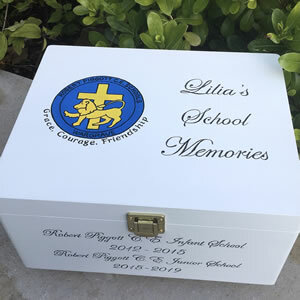 Our school keepsake box is a perfect place to store school reports, special achievement certificates, prom photos and memorabilia collected over the years. 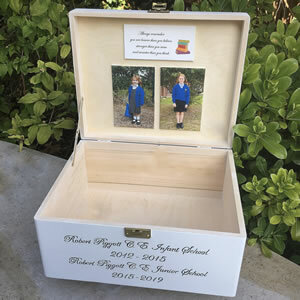 It’s a very special gift for a child starting school, a school leaver, for a graduation or as an end of term gift from the class to their teacher. 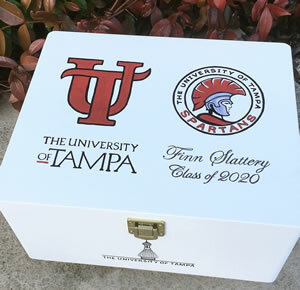 The design on the lid is carefully hand-painted with the school logo and personalised with text of your choice. 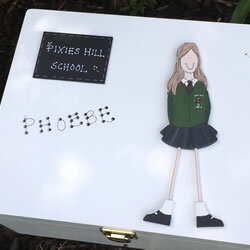 Alternatively we can hand paint 3d wooden figures in the school uniform. 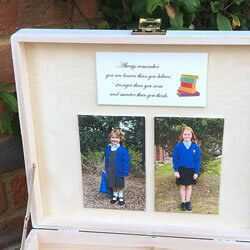 There is also an option to have a canvas photograph and message inside the lid. 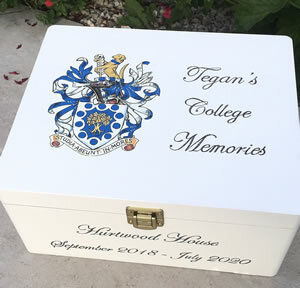 Our large size keepsake boxes are generous in size and can easily fit A4+ documents. 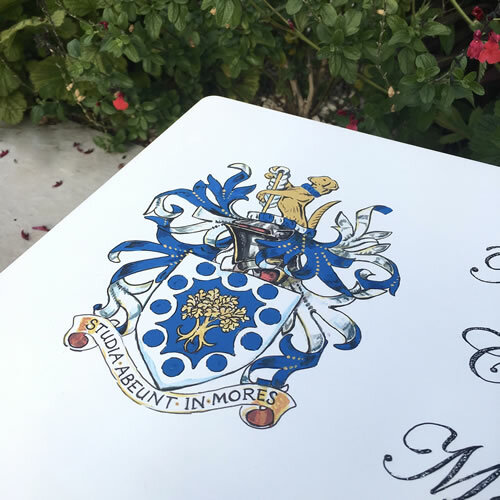 How to order: Place your order on the web site and follow up with an email to info@torildesign.co.uk with the information needed for the box, i.e. text/name for the lid and under the clasp and a photo or website link for the schools logo or uniform. If you prefer to discuss the design over the phone, please contact us on 0118 9343426. 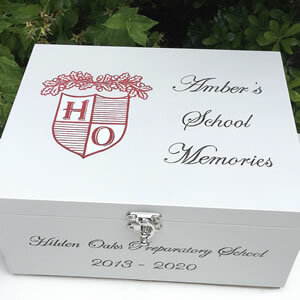 Please allow as much notice as possible when you order one of our school keepsake boxes as the designs may take 2- 3 weeks to produce during our busy periods.